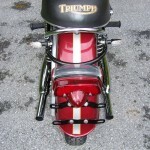 Restored 1970 Triumph Bonneville 650 Motorcycle. 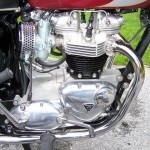 The engine was completely rebuilt and blueprinted. New bearings, seals, rods and cams were used. 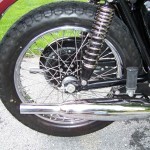 The valves, guides, springs and collars were replaced. 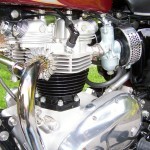 A new clutch and primary chain was installed. The gearbox was rebuilt with new bearings and cam plate. The frame and all black parts were powder coated. Boyer electronic ignition was added to a dual outlet high voltage coil. A new fabric covered wiring harness was sourced. 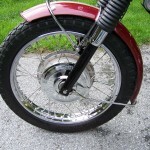 New stainless wheel rims were laced with stainless steel spokes. The original Smiths gauges were rebuilt. 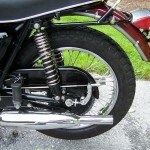 The suspension was overhauled and rebuilt. 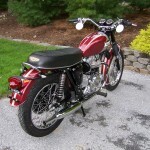 A beautiful restored Triumph Bonneville 650 Motorcycle. 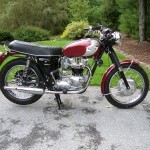 Triumph Bonneville 650 – 1970 For Sale or Wanted? 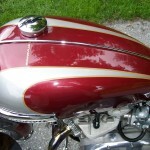 If you're looking for the perfect Triumph Bonneville 650 – 1970 for sale then take a look at the hundreds of restored classic motorcycles listed on our extensive Motorcycles For Sale pages. 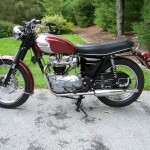 We regularly feature very nice restored Triumph Bonneville 650 – 1970 bikes for sale. 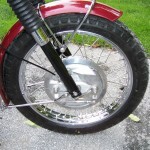 Spares and Parts for your Triumph Bonneville 650 – 1970? 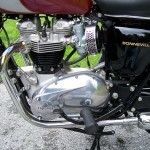 Workshop Manual for your Triumph Bonneville 650 – 1970?